The Duke of Edinburgh International Award and the Barbados Cadet Corps presented Bronze and Silver awards last Saturday to Cadets and participants of the programme. Since its introduction in Barbados in 1963, the Award has been recognized as an excellent vehicle for personal development of young Barbadians. The Duke of Edinburgh’s International Award is the world’s leading achievement award for young people aged 14-24. The Award is tough but it is about individual challenge, not about reaching specific standards set by someone else. It offers the chance to hone skills that prepare a young person for the challenges ahead, equipping them for life. The principle aim of the Barbados Cadet Corps is to compliment the academic curriculum of our schools through the use of discipline, challenging activities and national duty in the building of self-respect, self-confidence and the formation of character in as many of our youth as possible. Alertness, punctuality, a sense of duty, patriotism, respect for authority, physical and mental endurance and camaraderie are some of the virtues that those who administer at the detachments, seek to instill in our youth. 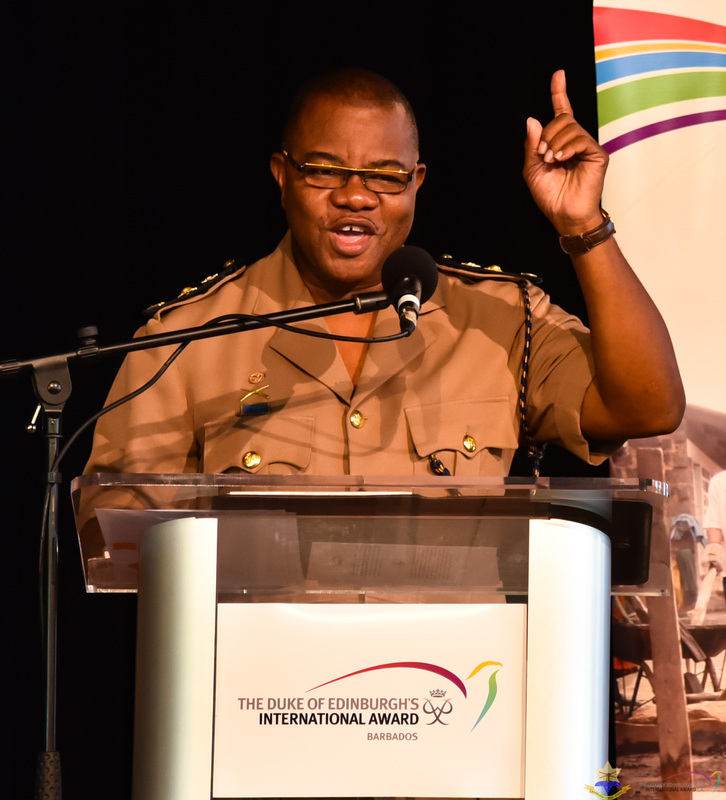 Barbados Cadet Corps Commandant, Lt Col Errol Brathwaite during his featured address.